Video Surveillance In The Workplace: When Is It Illegal To Film And Monitor Employees In California? On behalf of Admin of JML Law, A Professional Law Corporation posted in Employment Law on Wednesday, Nov 21 2018. Is it illegal for California employers to use video surveillance in the workplace and monitor their employees? What about employers using hidden cameras and not warning employees about video surveillance? What about cameras in bathrooms or locker rooms? These are the questions we addressed to our Los Angeles employment law attorney at JML Law. In today’s world, an increasing number of employers in California are using video surveillance for multiple reasons, but mostly to prevent theft and violence, and monitor what their employees are doing at work to make sure that they are actually working and doing what they are being paid for (which, clearly, does not include browsing social media sites at work unless it’s part of the employee’s job). So when does video surveillance in the workplace cross the line and becomes illegal? 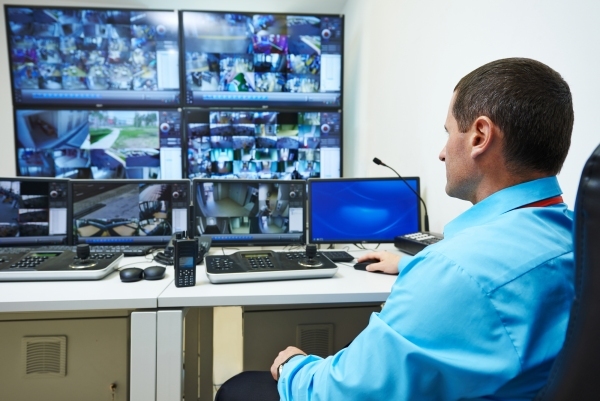 What are employees’ rights to privacy when employers use video surveillance at work? Is video surveillance in the workplace illegal in California? An outdated (but the only one of its kind) survey back in 2005 showed that the vast majority of all employers in the U.S. admitted to using video surveillance in the workplace. And about 15 percent of those employers said they filmed employees to monitor their performance at work. If more than half of employers used video surveillance back in 2005, you can only imagine what percentage of employers film their employees at work in 2018. Whether or not video surveillance in the workplace is illegal depends on where the cameras are installed, what is being recorded, and whether the employee was made aware of the surveillance. Unlike other states, California considers it a crime to install a surveillance mirror – the mirror that can be seen through from one side, and looks like a regular mirror on the other – in a bathroom, shower, fitting room, and locker room. It is against the law to film you while doing certain things in the workplace, including but not limited to using the restroom, taking a shower, and changing clothes. As a rule of thumb, employers who have a legitimate business need to use video surveillance in the workplace must warn their employees about it in a handbook, memo, agreement, poster, or by other means. Failure to do so may expose employers to liability. More often than not, when employees feel as though their privacy has been violated by video surveillance they can file a lawsuit against the employer and let courts determine whether surveillance in the workplace should be allowed or prohibited. As you can imagine, an employer would have a hard time proving the need to videotape employees in the bathroom and/or locker room. Let our Los Angeles employment law attorney at JML Law evaluate your particular situation and determine whether the use of video surveillance is illegal in your workplace. Call our offices at 818-610-8800 for a free case evaluation.